How much is that doggy in the interactive window? 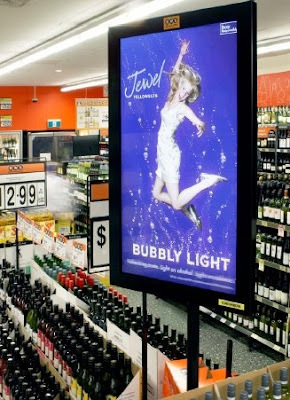 Speaking of digital signs, here’s a sweet interactive display by Australian shop WhyBin\TBWA\Tequila for Pedigree. 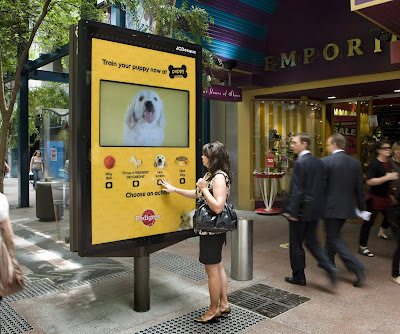 Passersby can ask the dog to lick the screen, play ball, or perform other tricks. Imagine the future where you can play CNN Magic Wall with paint chips, carpet options, or men’s suits before you bother to actually touch any products. If only we had a digital screen to help us match socks at 6 a.m. on dark winter mornings.